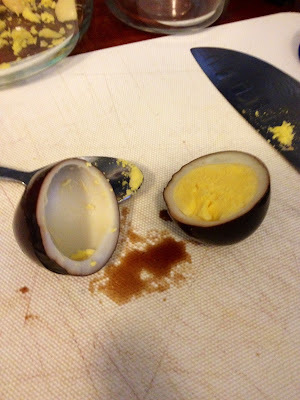 As talk of Easter, egg hunts and egg decorating increased around the house my mind turned to thoughts of pickled eggs. I knew that the salty vinegary eggs found in dusty jars on bar tops weren't for me. 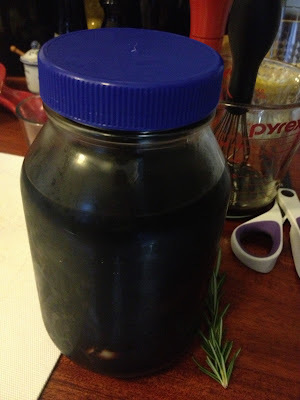 Wondering if balsamic vinegar might be more to my liking I Googled a bit and, finding some suggestions and recipe ideas, moved ahead. 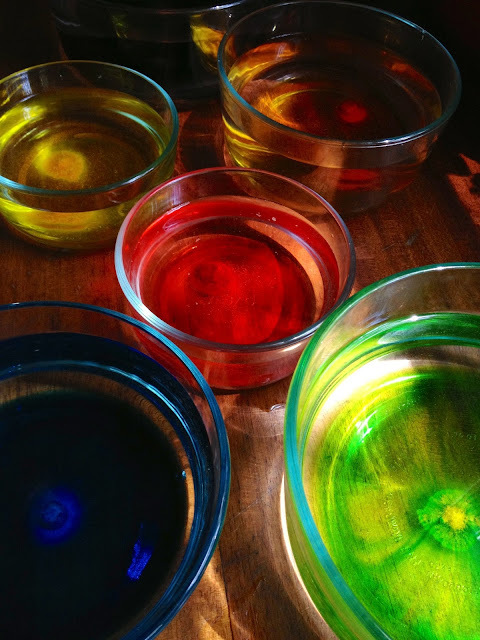 Perhaps Today IS A Good Day To Dye! 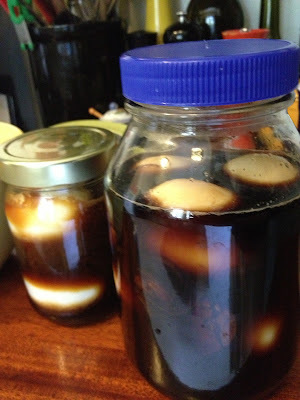 I made two batches of eggs, one with balsamic, water, onion, and crushed garlic cloves and a second with soy sauce, rice vinegar, water, fresh ginger and wasabi powder. I put them in the refrigerator for six days. I could have left them longer, but it was the day before Easter and I'd had a plan. 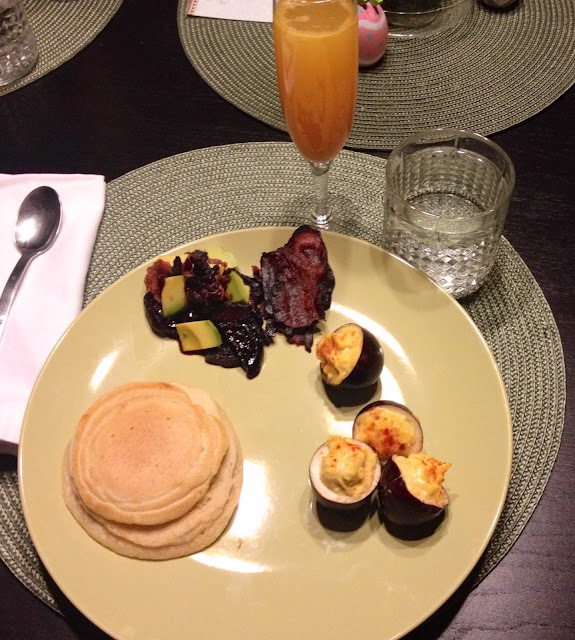 Even before I'd made the eggs I'd been planning a savory breakfast for dinner menu for my family. Are there any more welcoming words in the English language than "Breakfast All Day"? 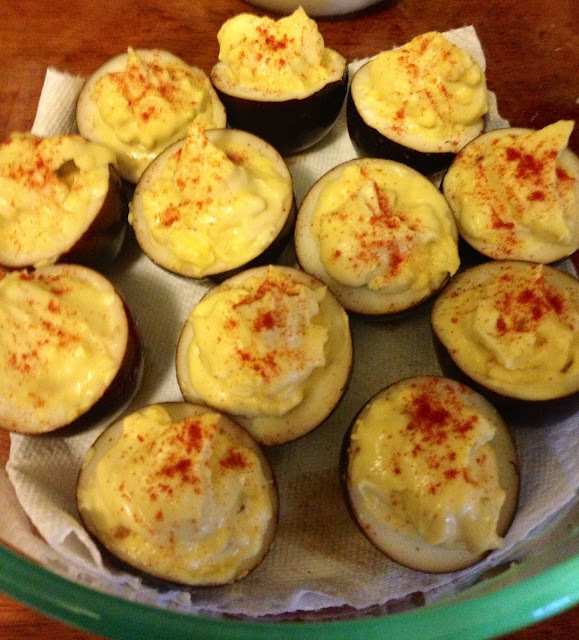 With that in mind I decided to make the pickled balsamic eggs into deviled pickled balsamic eggs. Just a touch of mayo bound the egg yolks and roasted garlic together while a splash of the pickling liquid in the yolk mash boosted the flavor and tied it securely to the sweet and gently vinegary egg whites. 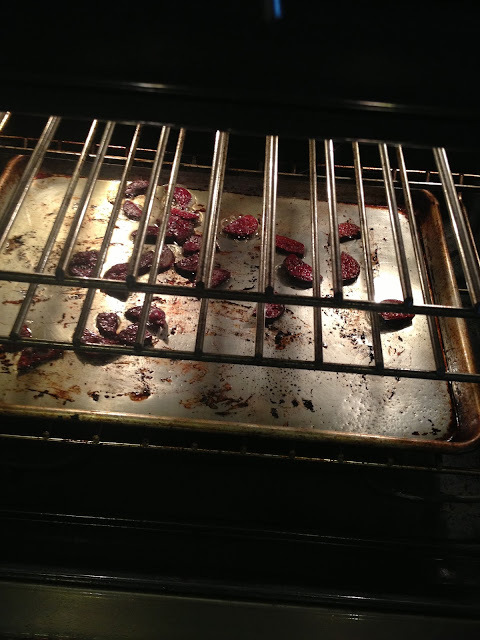 The beets were roasted in the fat remaining after cooking the bacon along with lemon olive oil, salt, and pepper. 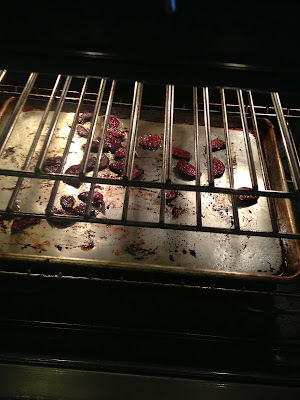 When the beets were tender I left in the warmer, soaking in the dressing. Crumbled bacon and beet slices were combined on the plate with raw avocado chunks and the whole salad was drizzled in the dressing. The pancake batter was made from a box, (BIG time saver, don't judge, Judgeypants), with rosemary infused water and butter. Pancakes were poured from a squeeze bottle and Microplane-ed Parmesan was spooned on and topped with another layer of batter. I might try green onions too next time or perhaps a savory syrup. The juice/"Not-tail" was carbonated water (thanks, SodaStream), freshly squeezed orange juice and splash of pomegranate syrup. It looks like a light meal at a glance, but with the richly flavored, dense eggs and cakes I knew it would fill us up. It did. I'm already planning another Breakfast for Dinner built around the soy/wasabi eggs possibly involving some kind of rice "hash browns" and will report the results. I'm also going to start another batch of delicious balsamic pickled eggs today. 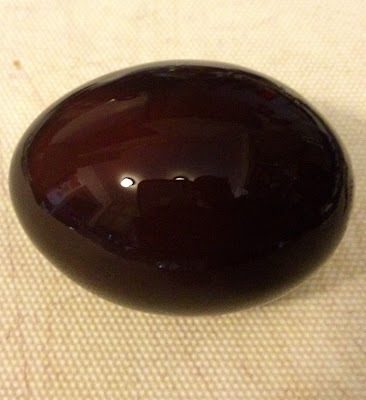 Seriously, these things ROCK. The recipe I started with (I used more garlic and onion and less sugar), can be found here.